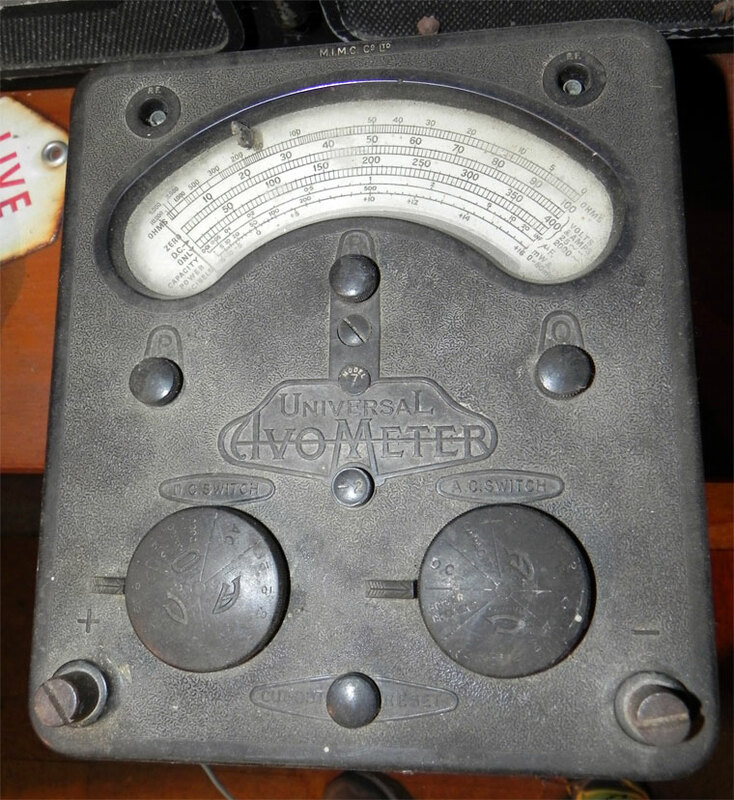 Exhibit at the Washford Radio Museum. 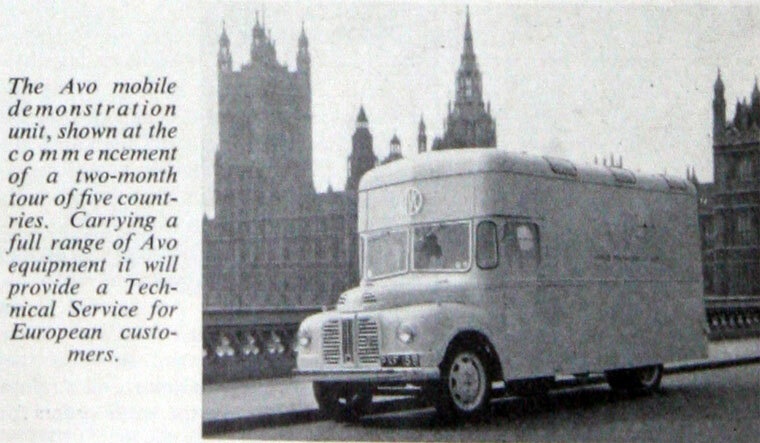 June 1955. 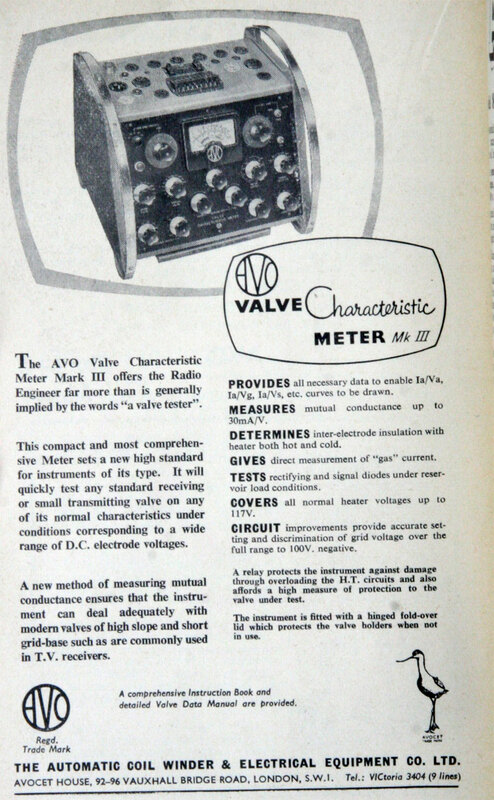 Valve Meter Mk III. 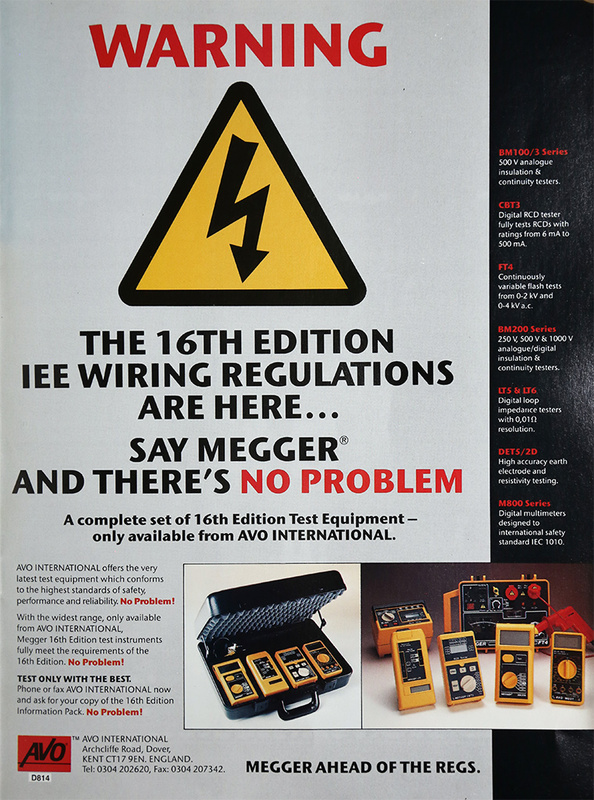 May 1958. 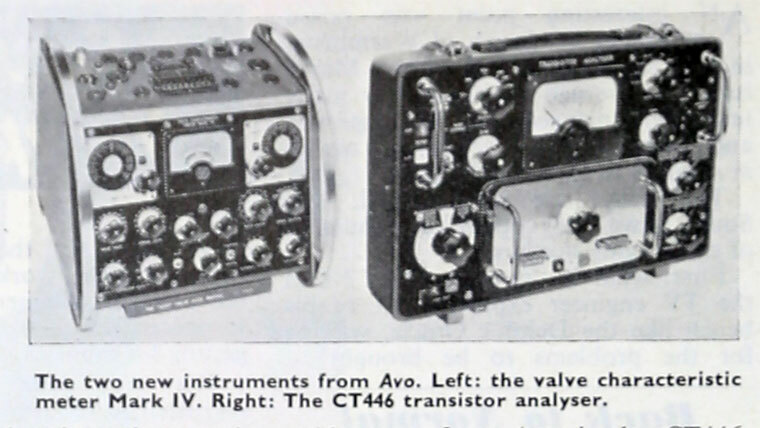 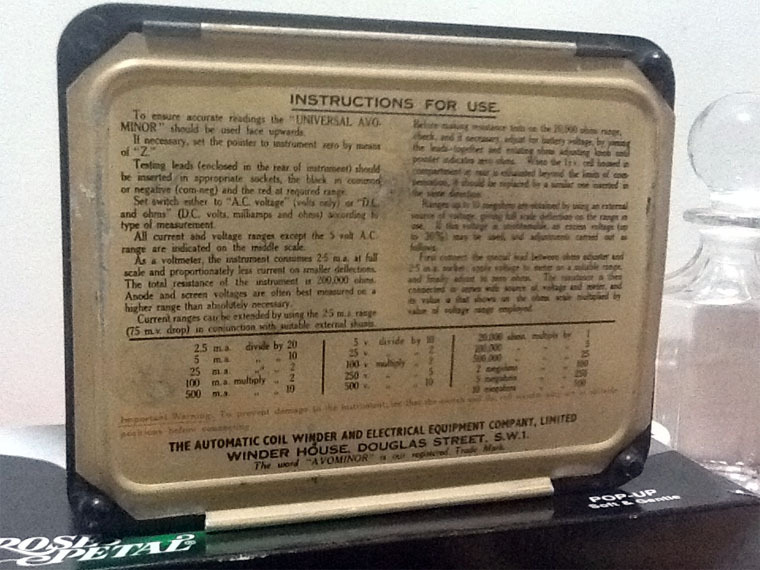 Valve Characteristic Meter Mark IV and Transistor Analyser CT446. 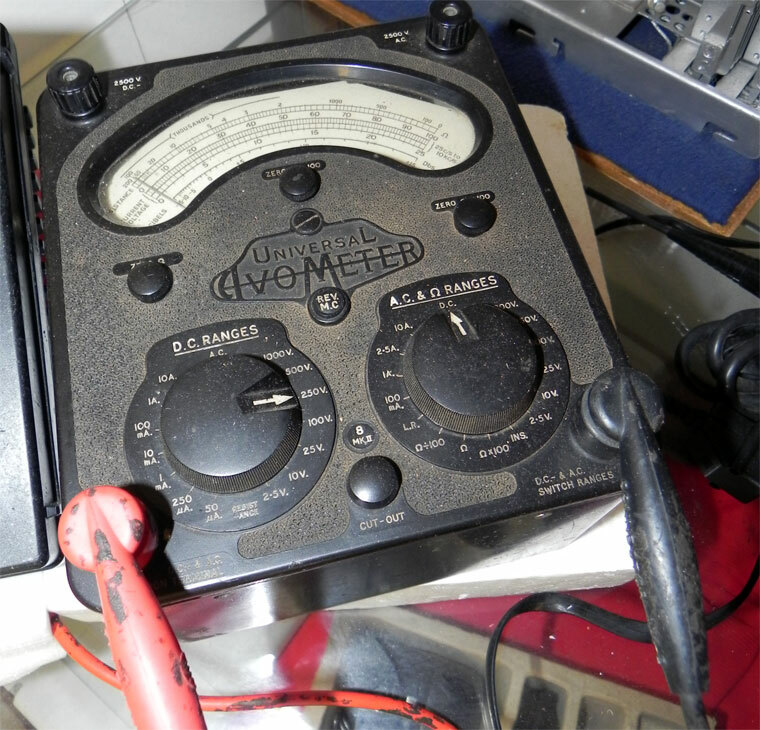 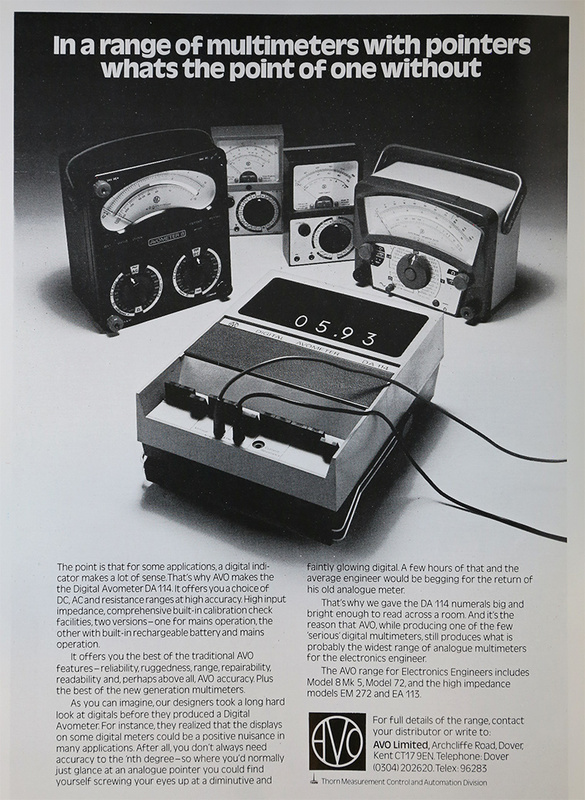 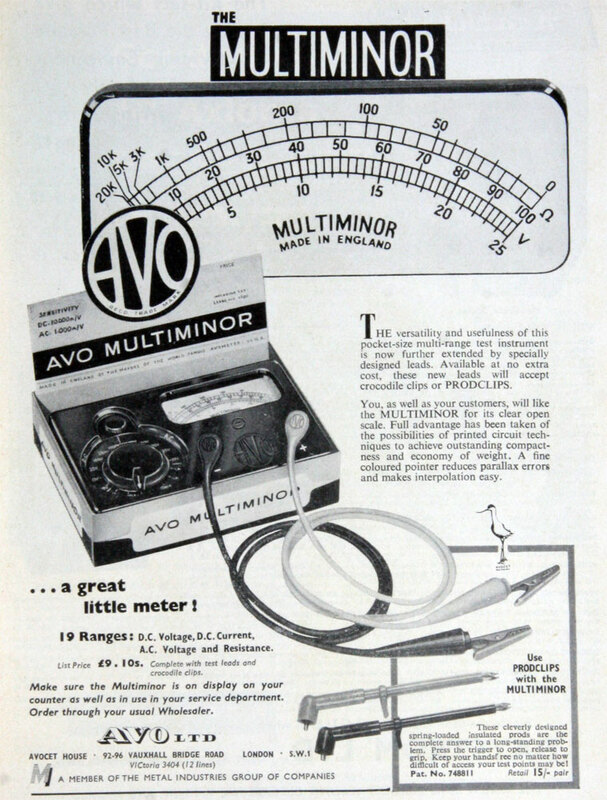 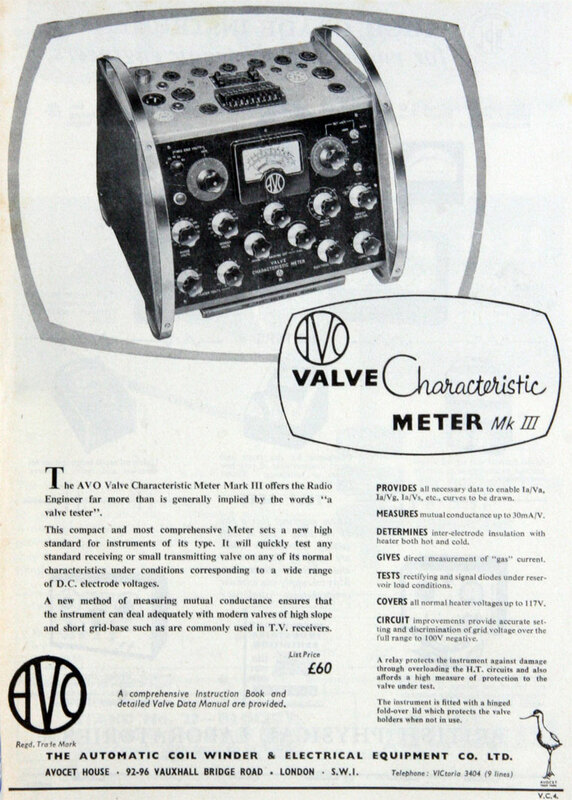 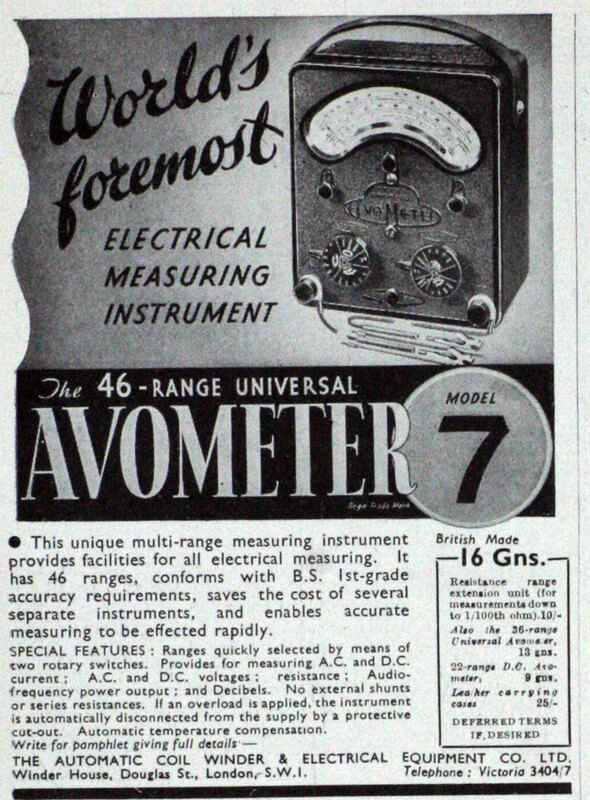 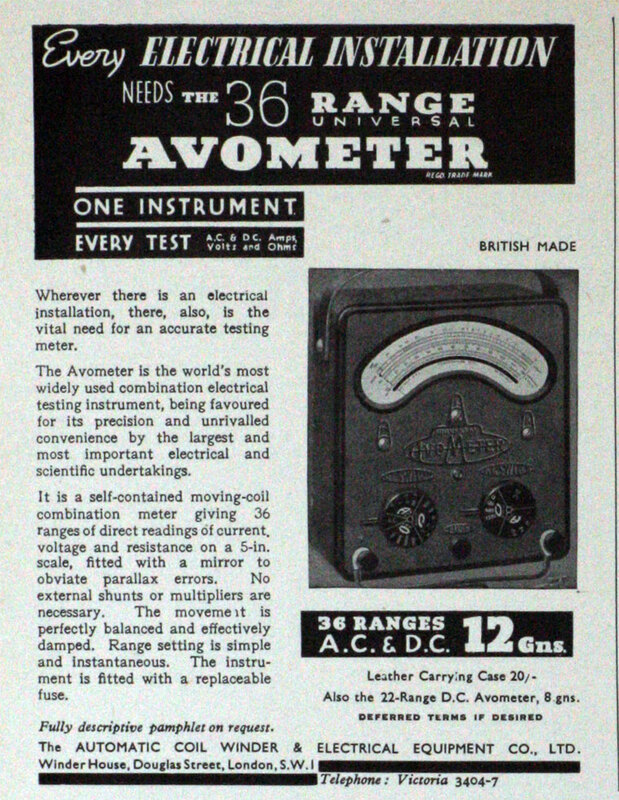 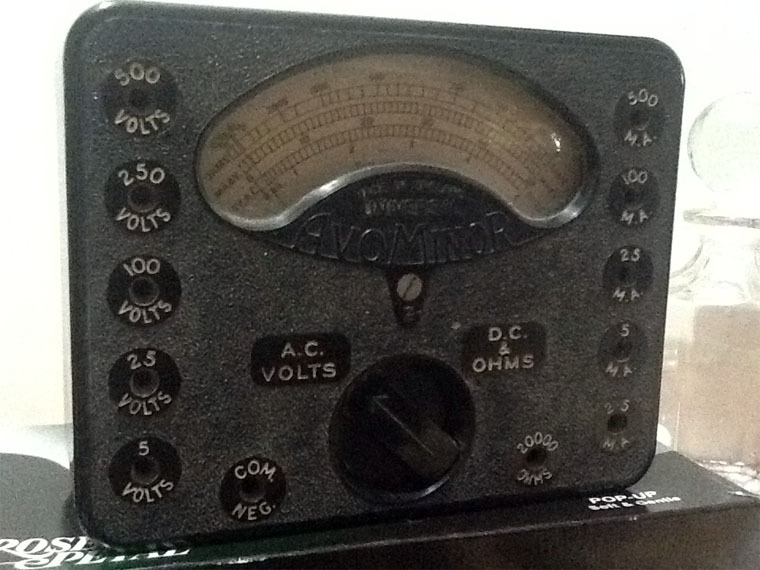 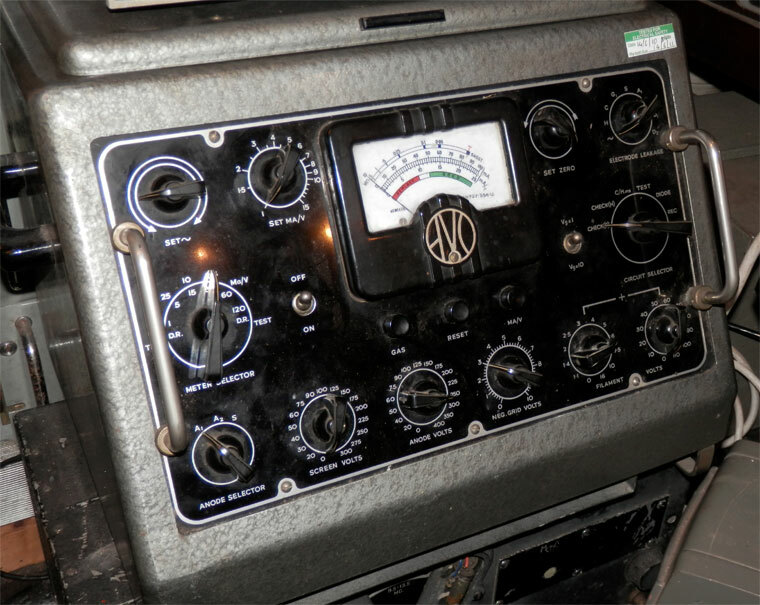 Donald Macadie, a Post Office engineer, dissatisfied with having to carry many separate instruments, invented a meter that could measure Amps, Volts and Ohms - the multifunction meter was named AVO. 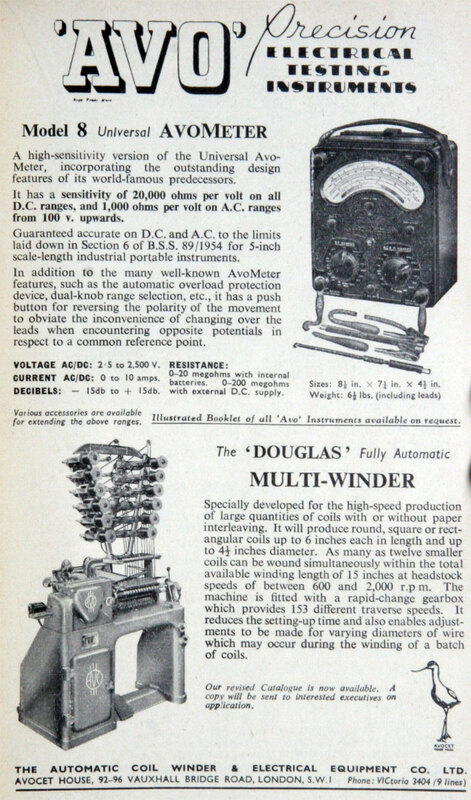 Macadie took his idea to the Automatic Coil Winder and Electrical Equipment Co. 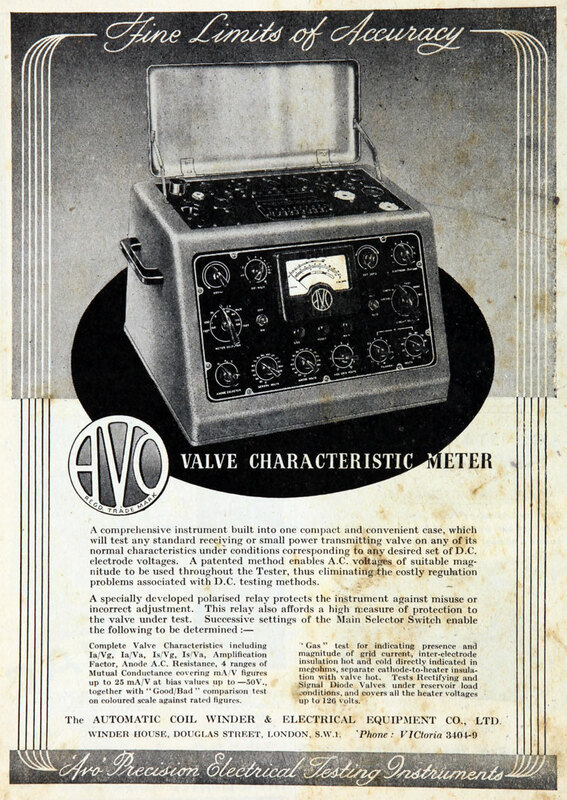 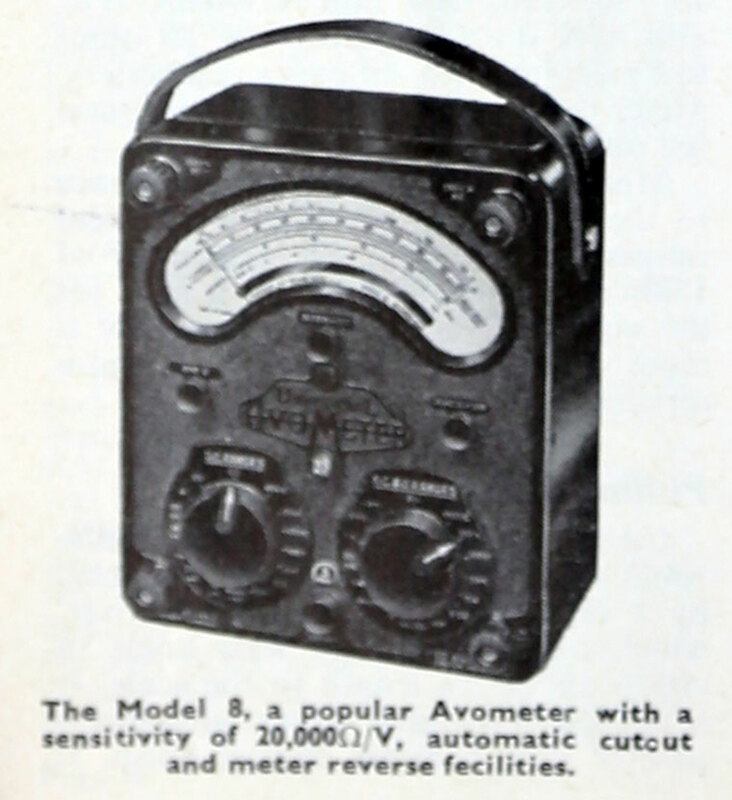 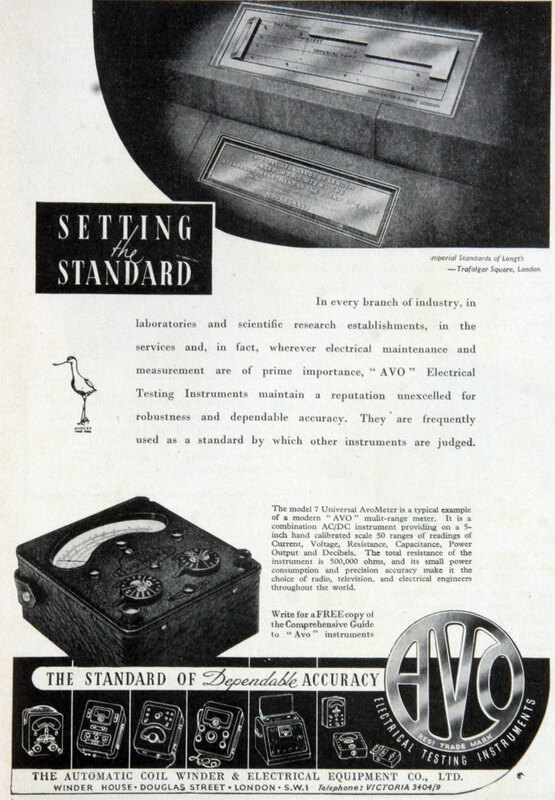 The first AVO was put on sale in 1923, initially a DC-only instrument. 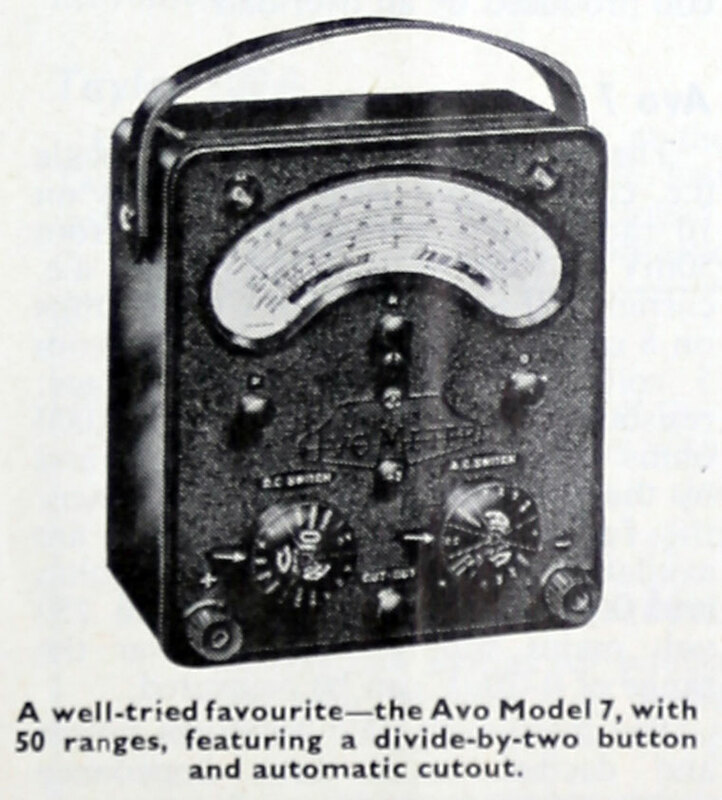 Many of its features remained almost unaltered right through to the last AVO Model 8. 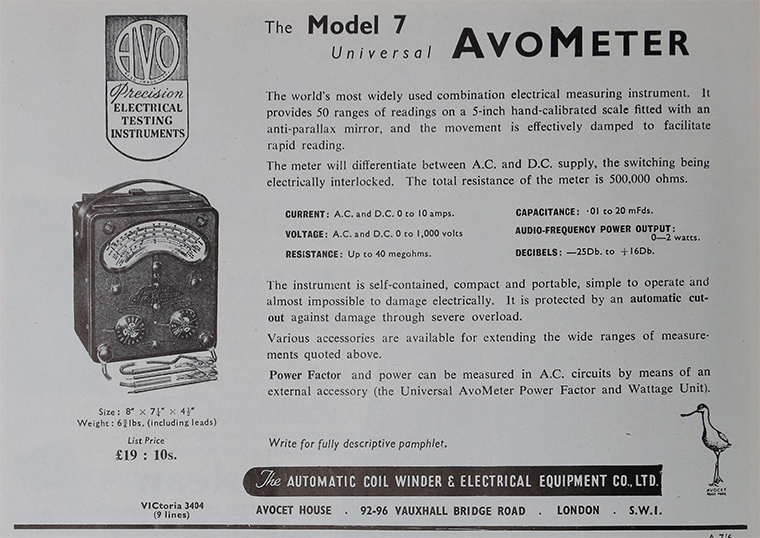 1957 Address: Avocet House, Vauxhall Bridge Rd, London. 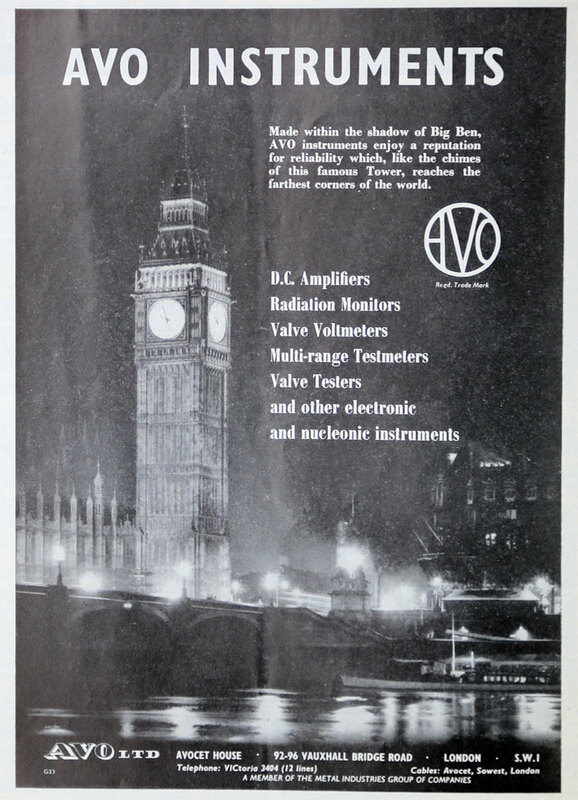 1957 Became public company: Avo Ltd, of Avocet House, Vauxhall Bridge Rd, London, to manufacture instruments with the AVO trademark. 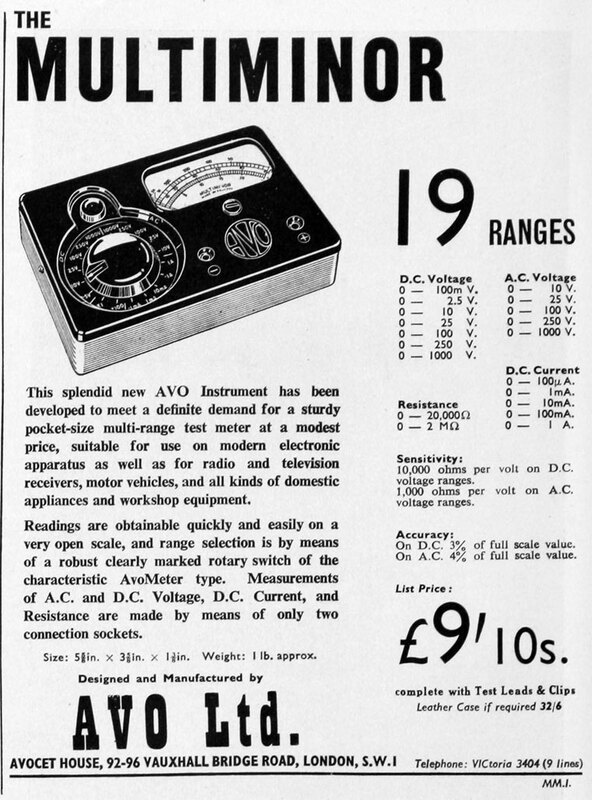 1958 Took over Taylor Electrical Instruments Ltd of Slough. 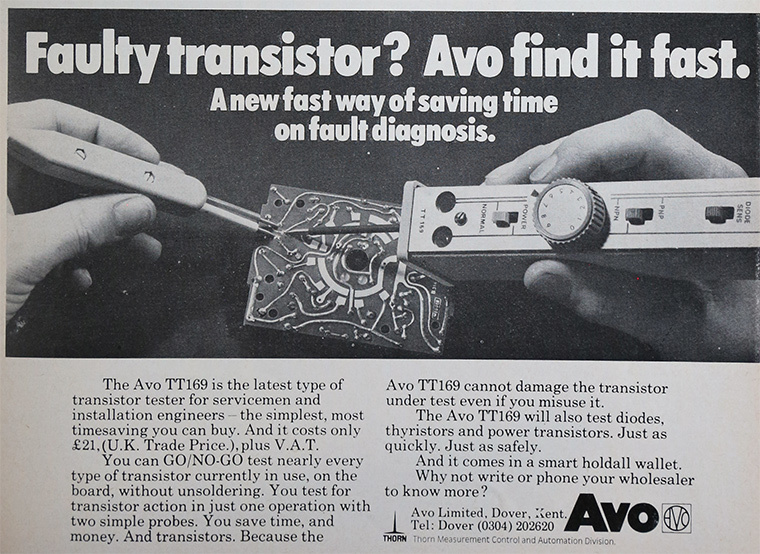 1959 Metal Industries Ltd acquired Avo Ltd, including its subsidiary Taylor Electrical Instruments Ltd.
1962 Acquired land at Dover for new factory. 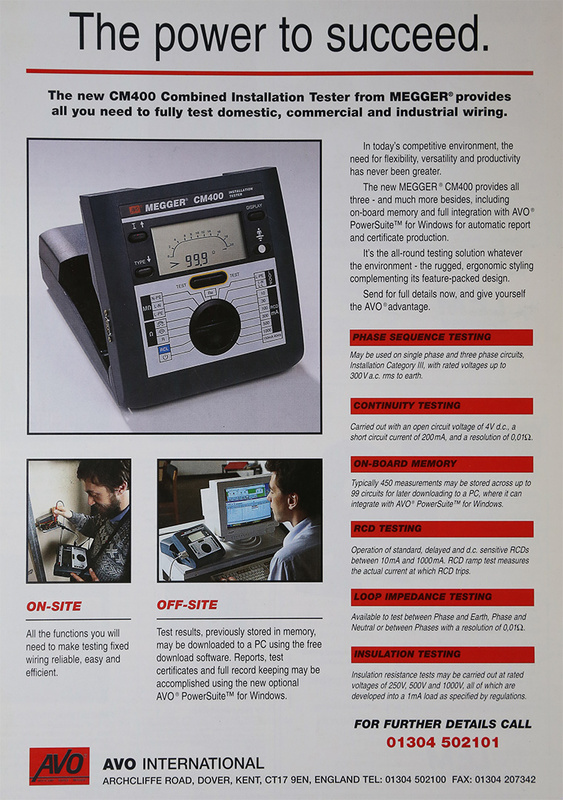 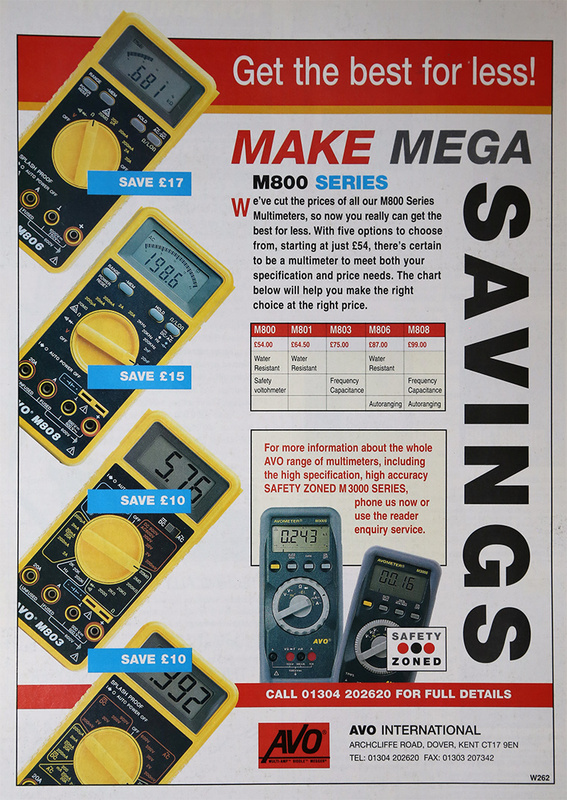 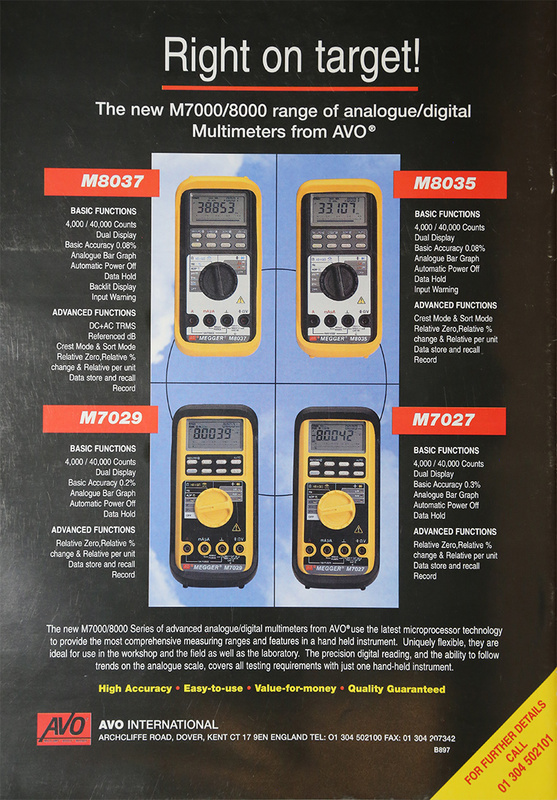 Known particularly for their Avometer general purpose multimeter, Avo also made a wide range of test gear including valve testers, electrical, electronic and nucleonics instrumentation. 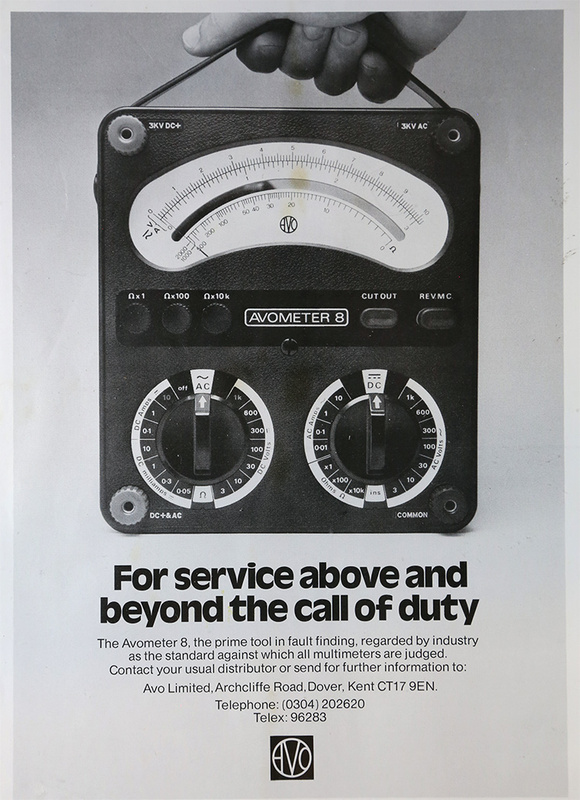 c.1986 Took over Evershed and Vignoles, another member of the Thorn EMI group. 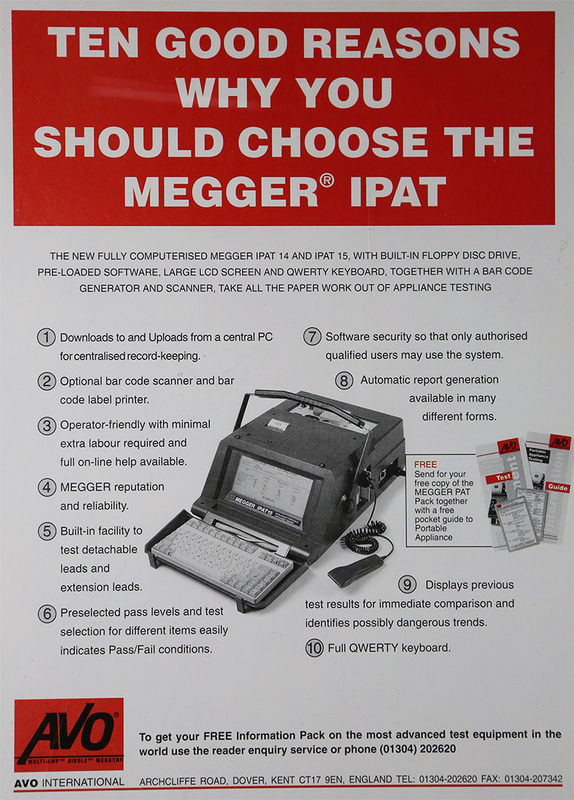 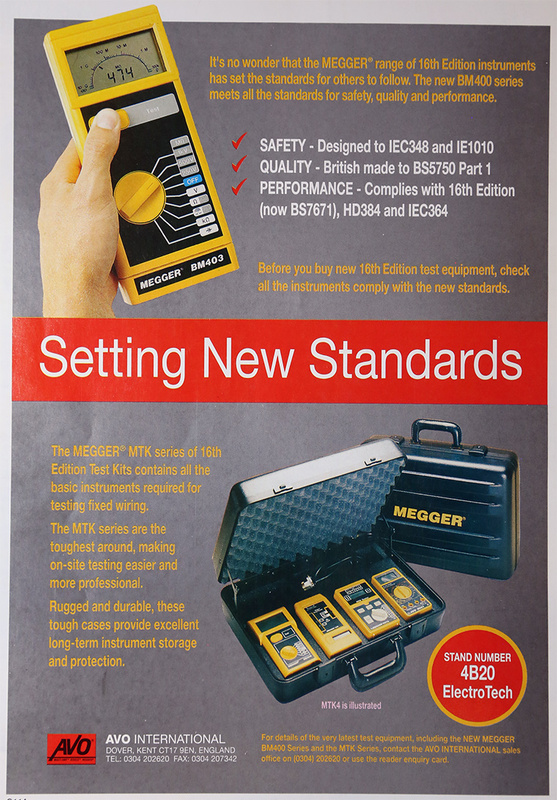 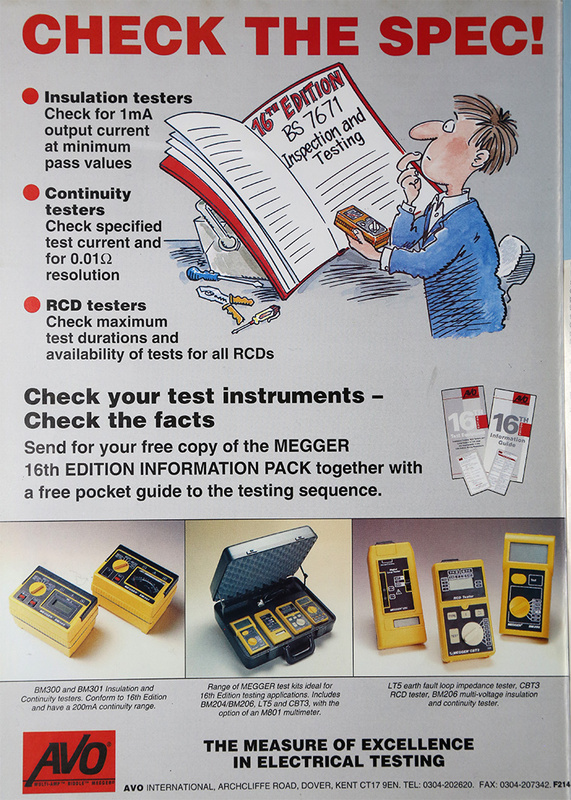 1987 The name of the company was changed to Megger Instruments Limited at Archcliffe Road, Dover. 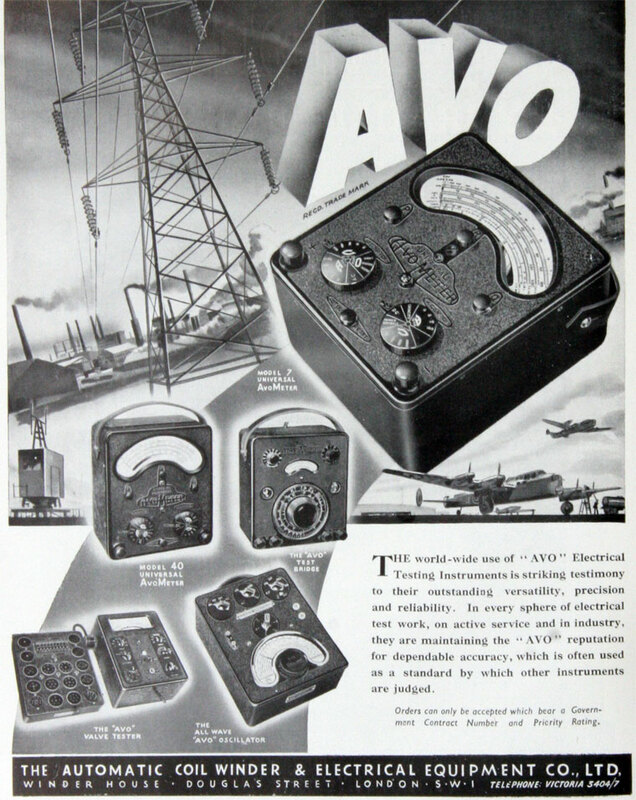 Part of Avo International. 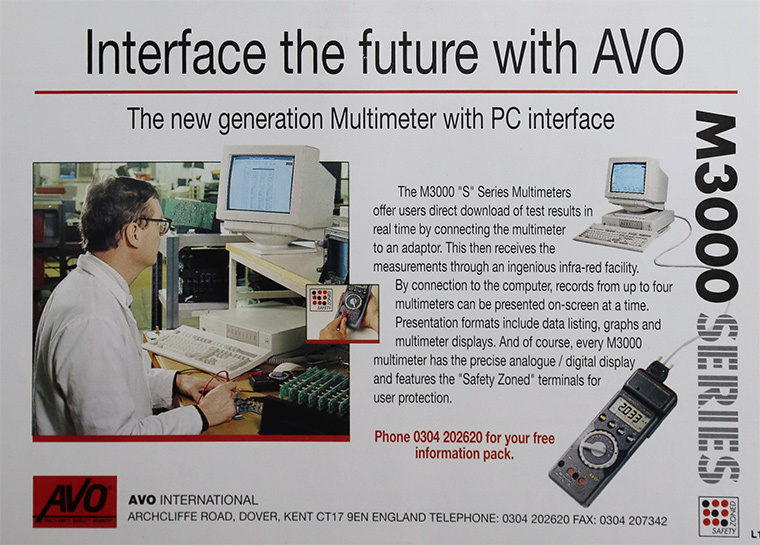 This page was last edited on 27 November 2018, at 13:44.